Digital marketer with over a decade of experience leading marketing strategy, Digital media & business development across Tech, CPG and FSI. Currently Rohan is leading Paid Media, Content & MarTech initiatives for Intel across 15 markets in APJ. 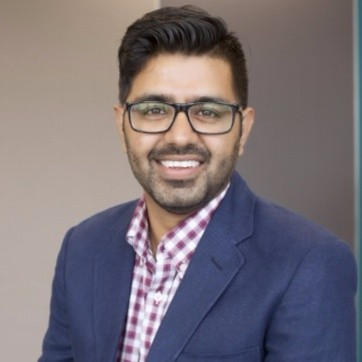 Rohan strives to reach a significant number of Intel’s intended audience through targeted media and help create connected, personalized experiences to produce tangible business value for the organization and its customers. Member of the Intel's first ever digital Hub- a real time monitoring center to tap into data across social, search and external media which helps in making data driven decisions. He is also the internal champion for executing Account Based Targeting and social selling initiatives. Rohan loves to travel and is a foodie at heart. He is always ready for a new experience. Right now he is trying to teach his 1 year daughter to walk, talk and tweet! Check out the incredible speaker line-up to see who will be joining Rohan.